Improving office productivity is less about a major office overhaul and more about implementing all the tips and tricks for creating a space that fosters creativity and productivity. Did you know a well-designed office could increase your employees’ productivity by 20 percent? 1. Encourage Movement: Today, our employees’ fingers and mouths get more of a workout than they do in the workplace. Given that during an eight-hour workday we should only be sitting for a few hours, promoting movement in the workplace should be a vital part of office design. Simple tricks like relocating printers, mini fridges, water coolers, office supply closets and employee gathering areas away from offices and cubicles makes getting in a quick few minutes of exercise easier for employees. Stand-up desks can also help improve posture and decrease the number of hours employees spend sitting each day. 2. Promote Privacy: Not everyone works well with background noise. In fact, being located in the middle of a loud or hectic office can often take its toll on workplace performance — and make employees feel stressed out. That’s why creating a variety of workspaces that are suited to different work styles and tasks is so crucial to helping employees do their best and most focused work. Offering a variety of private offices, conference rooms and even transitional cubicles help achieve this goal. “Floating offices” are also on the rise, with employers offering a private space to employees on a sign-up based system to ensure they have proper space for important calls and to reach major deadlines. 3. Be Flexible: Speaking of floating offices, it’s important to note modern office spaces are no longer a one-size-fits-all environment. With the rise of part-time, freelance and contract employees, flexible design is a crucial element to keeping your workplace design relevant. Move away from the static office space of the past and consider incorporating workstations that convert into standing desks, movable walls, and areas that can serve as meeting rooms and lounges. Not only does this “moveable” office design foster productivity for your part-time staff, it gives full-time office employees an option to move out of their standard workspace and start thinking outside the box. 4. Light it Up: If your office suffers from a lack of natural light and too many fluorescents, consider adding more access to natural light. Not only will this increase alertness but also help combat boredom. But, what can you do when adding more natural light isn’t an option? “Fake it ‘til you make it” with cleverly placed mirrors that reflect natural light sources, bright white or pale blue walls, pop-of-color art pieces, “windows” in walls to connect rooms, frosted glass dividers, fresh greenery and flowers, halogen light bulbs and hidden lighting that creates a natural glow (perhaps behind or under a storage unit), which all mimic the effect of natural light. 5. Get Artsy: Speaking of art, adding creative personality to your workspace can both inspire and motivate employees. Large pieces of vividly colored art will brighten the workspace, while green and blue hues help create a peaceful “bring the outside in” vibe. Art and design books in the office lounge and conference rooms are a modern touch that also serve as a time-passer for visitors to your office. And encouraging employees to fill their workspaces with art they love will both inspire creativity and make them feel more at home in their workspace. Now that you have a starting point, why not try incorporating just a few of these ideas into your office space design? From art to lighting, flexible spaces and beyond, there’s no shortage of ways to improve your office aesthetic to maximize productivity and office harmony. Nicole Arnold Interiors can give you professional interior design advice and planning for your office. We would love to meet with you and find out about your office design needs. 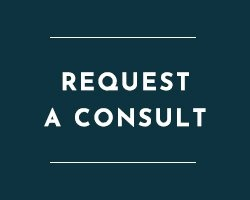 To set up a consultation, please call us at 214-326-1160.